Health promotion is far from straightforward. Unless public health practitioners explore and understand the theory underpinning health promotion, there is a real risk of, at best, establishing ineffective interventions and, at worst, antagonising and even harming the very people you are seeking to help. 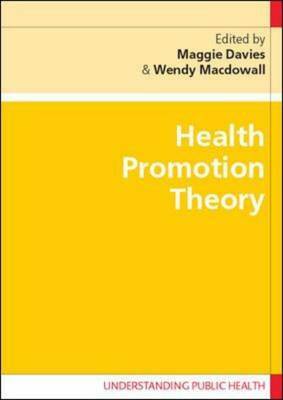 This book will guide you through the philosophical, methodological, theoretical, ethical and political underpinnings of health promotion to enable you to be a more effective practitioner. Although the book explores these various aspects, it is focused on assisting you in applying the ideas and concepts to practical implementation. To illustrate good practice and provide evidence of what works, examples are drawn from several countries, representing different cultural backgrounds. Contributors include: Maggie Davies, Nick Fahy, Jeff French, Mike Kelly, Jessica Kepford, Paul Lincoln, Anthony Morgan, Don Nutbeam, Jaume Ribera, Magdalene Rosenmoller, Marc Sachon, and, Viv Speller.